Cost-effective digital advertising targeting interested groups. The importance of being found by search engines cannot be over emphasised for local businesses. 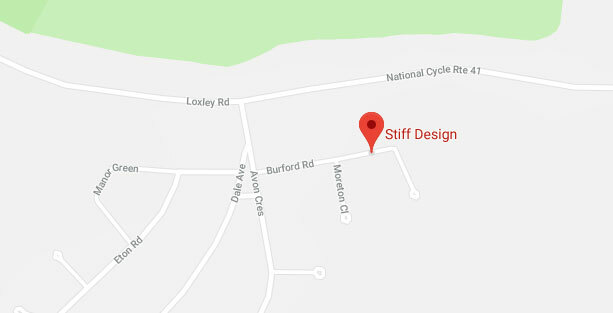 We are a trusted SEO company in Stratford upon Avon offering ethical Search Engine Optimisation services that will boost your visibility in search, promote your services and provide a solid foundation to grow your page rank. SEO is the most cost-effective form of digital advertising available to small businesses. If your website is ranked high up in Google, Bing and Yahoo customers will continue to come to your website for years to come with little further effort or expense. Search Engine Optimisation (SEO) is the process of improving the visibility and placement of a website in search results. The goal is to increase visibility in search results for targeted keywords which then may generate traffic interested in engaging services. We have numerous ethical optimisation techniques and strategies to gain a high-ranking placement in the search engine results page (SERP) including Google, Google Maps, Google Mobile, Bing, Bing Mobile, Yahoo and AOL. Our ethical Search Engine Optimisation services complies with Google's quality guidelines. Achieving higher page ranking or attaining a top page listing in natural search results requires a prescribed approach. A summary of our services is outlined below. 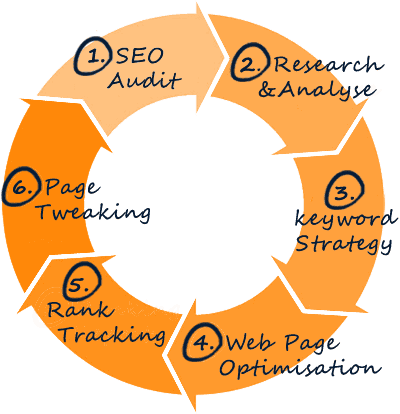 SEO Audit - checking domain authority, page authority, trusted status, page speed, analyse backlinks and spam score. Identify common structural on-site problems which effect placement. Research & Analyse - current search trends reverent to client services and analyse competitor's code & web page content. Keyword Strategy - using broad and 'long tail' approaches. Web Page Optimisation - optimising high-traffic page content based on the keyword strategy. Rank Tracking - weekly ranking reports grouped by search engine and weekly competition ranking reports. Page Tweaking - placement improvement. SEO is the process of improving the visibility and placement of a website in a search engine's search results. The goal is to increase visibility in search results for targeted keywords which then may generate traffic interested in engaging services. Keywords are central to the search process and are fundamental to how search engine spiders index, store and retrieve data about web pages. 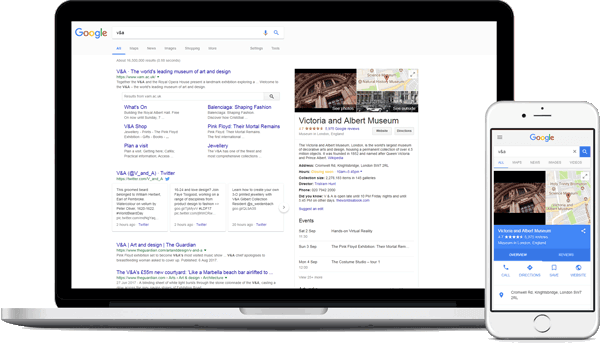 In natural or 'organic' search engine placement, the search results returned are determined by relevance to the search terms. Websites and web pages that closely match the search terms are most likely to appear in the search results. Higher page ranked web pages are more likely to appear at the top of the search results. The task of improving search engine visibility can be divided into 'on-site' and 'off-site' SEO. On-page optimisation and keyword prominence are among 'on-site' factors which contribute towards 'search engine friendly' pages. Off-site factors tend to focus on building link popularity and improving 'PageRank'. Link building often involves submissions in local business directories like the UK Directory to generate backlinks and citations. 'PageRank' results from a mathematical algorithm. The rank value indicates an importance of a particular page. A hyperlink to a page (backlink or inbound links) counts as a vote of support for that page and the more inbound links the more importance is acquired. A web page that has inbound links from pages with a higher PageRank receives a higher rank itself. However, inbound links from 'low quality' websites that are deemed in breach of Google's quality guidelines can negatively affect placement. On-page optimisation is the method to ensure that targeted keywords are given prominence within the page's content. There are many tactics and effective "best practices" for keyword usage to help create pages that are optimized. In a competitive situation getting good search placement is a matter of developing both good 'on-site' and 'off-site' SEO practices. Achieving higher page ranking or attaining a top page listing in natural search results requires a prescribed approach. Making your website mobile-friendly improves user experience (UX) and increases user engagement on mobile devices. It not only enhances customer satisfaction and loyalty but also helps you rank better in search results on mobile devices. In responding to the adoption of smartphones and tables Google positively rewards websites in search results which are deemed mobile-friendly. Alongside this websites which have faster page speed load time are also rewarded by an increase in search results positioning. Google's mobile-friendliness ranking signal started April 21st so if your site is not mobile friendly this might significantly impact on your search results. To find out if your website is mobile friendly take the Mobile-Friendly Test! Pages that are considered mobile friendly have the following prerequisites. A correctly configured viewport, page content which fits the device width, text on the page which is readable, links and tap targets that are sufficiently large and touch-friendly, page loading which avoids render blocking elements and is quick to load over mobile networks. Speed Matters! Page Speed is a critical component of a website's user experience. In a content-driven world factors like page load time and page size make a big difference. Page Speed is now an important ranking factor and is part of Google's ranking algorithm for both desktop and mobile. Find out more about our page speed optimisation service. Whatever your requirements we're here to help you achieve your goals. We are industry experts with over 17 years' web design and web development experience. Stiff Design provides specialist web services achieving a high level of customer satisfaction. Built in-house to the highest quality and hand coded using valid HTML & CSS. Creative, distinctive design that make your business stand out. We're here for you when you need us most. If things break we'll fix it with no fuss! We provide a flexible no hassle service, don't tie you into maintenance contracts or hard sell subsidiary services. We give you complete ownership of your website and the freedom to host your website where you want. If for any reason you want to change providers, there won't be any charges or complications from us. © 2019 Stiff Design. All rights reserved.